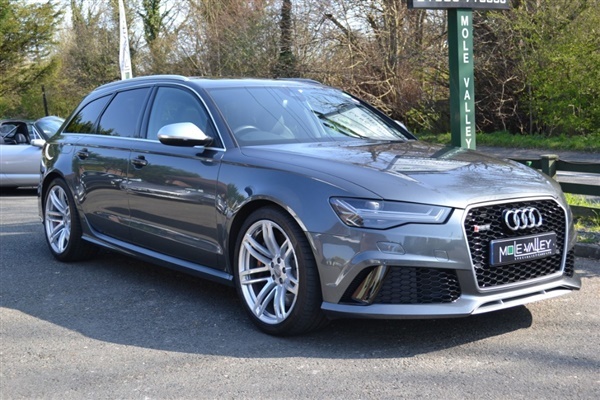 Audi RS6 V8 Quattro Avant. Finished in Daytona Grey-Pearl with Soul (Black) Cliff Interior and Black Carpets. This car is absolutely exceptional in every detail and comes 'fully loaded' with just about everything you could possibly wish for!!!! Full Audi Service history, last serviced 04/01/2019. Please ring for more information!